Autopsy returns to death metal on July 2, 2013, with a new full-length album entitled The Headless Ritual. Famed for their contributions to late-1980s death metal and its continued guidance through the 1990s, Autopsy arose as a band playing a chaotic, filthy, organic sounding form of death metal, which was in contrast to the more rigidly technical “Morbid Angel” inspired bands of the day. In many ways, Autopsy was a bridge between the more structured death metal and the more chaotic but more melodic bands from the grindcore world like Carcass and Bolt Thrower. Fresh from the studio, Chris Reifert (drums) was able to give us a few words on the nature of the new album, its style and the future for Autopsy. You’re in the process of recording The Headless Ritual. How do you see this album as continuing and differing from your previous works? Actually it’s complete and we’re just waiting for it to come out at this point. Musically and lyrically it’s pretty much Autopsy. No major changes, but no rehashing of old ideas either. It’s a big nasty chunk of death metal, simply put. Will you be using the same production as previous albums for The Headless Ritual? Can you tell us how it sounds so far? Will it be more punk-influenced, or more metal-influenced, than Macabre Eternal? We went with the same method of recording as we always have, but this one sounds a bit bigger than Macabre Eternal, I dare say. And again, it sounds like Autopsy. There’s fast stuff, slow stuff and all the weird stuff in between. At deathmetal.org, we’re naturally looking forward to the new Autopsy. Not only is it another of metal’s legends come back to life in the post-2009 old school metal revival, but it’s also a personal favorite that we believe has potential to revive the intensity of death metal. Furthermore, this album also promises to bring back the thoughtful and the odd that defined the genre so much during its early days. It was a frontier then and the frontier may be re-opening now. As Chris says, “There’s fast stuff, slow stuff and all the weird stuff in between.” This is a welcome break from the all-ahead-go clones that have made death metal seem one dimensional. The Headless Ritual will show us Autopsy at the peak of their ability and returning in fine form and fine spirits, as these answers show us. Thanks to Brian Rocha at Fresno Media for his help with this mini-interview! One of the original death metal bands, Morpheus Descends made heavy old school death metal during the hazy transition between 1980s and 1990s styles, preferring a slower and resonantly crushing approach to their percussive music just as most bands were opting for faster and more technical work. With 1992’s Ritual of Infinity, the band showed the culmination of their early demos and live appearances in an album that came to define not only old school death metal, but become the example of the New York Death Metal sound: industrial textures, crushing rhythm changes, primitive riffs in complex combinations. Many of us who uncovered Suffocation’s Effigy of the Forgotten remember seeing Terrance Hobbes wearing a Morpheus t-shirt. As it turns out, there was another Morpheus who wanted the name; history doesn’t mention them much. Morpheus Descends kept going and influenced all of American and European death metal. After Ritual of Infinity, Morpheus Descends went on to release two more EPs of a technical nature before disbanding. 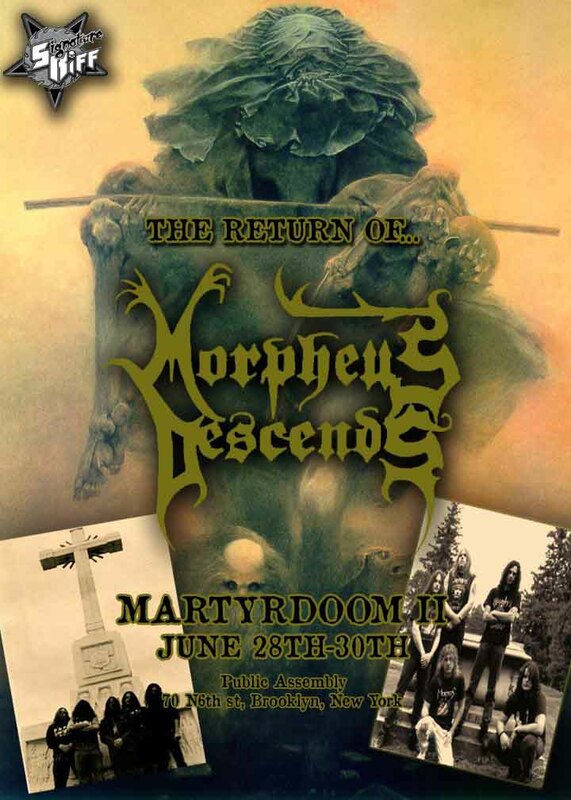 Now at the Martyrdoom II Festival, where Morpheus Descends will perform at a club called Paper Box on 17 Meadow Street in Brooklyn on June 29th, we will see what this band has been up to in the intervening years. 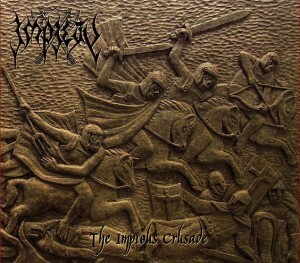 On August 6, 2013, Impiety will release its latest assault upon the world of mortal beings. Titled The Impious Crusade, this mini-album (that’s an EP for you 80s fanatics) will include five new songs of what we can only assume is the characteristic ripping fullback-rushing-at-Satan rhythmic metal that has made Impiety famous. Unfortunately, assume is all that we can do. Other than describing the music as “innovative, brilliant and totally unforgiving,” the band has given us no clues. 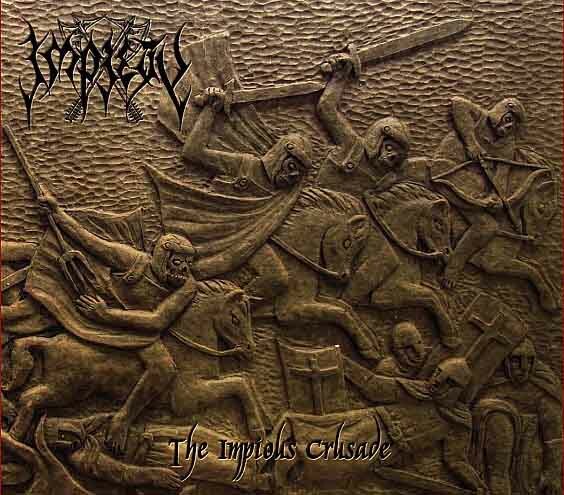 However, Impiety rose to fame for — in a time when bands were “experimenting” by including known influences from other genres — being cuts-to-the-bone pure rhythmic high speed chaotic death metal. Unlike war metal, they kept in the complexity of old school death metal and worked in even a bit of melody without turning into the over-tuned saccharine that afflicts many metal bands today. In short, people have loyalty to Impiety because Impiety had loyalty to metal at a time when it was unfashionable and definitely not trendy to do so. Over the years, their output has been consistently within this theme, although it has improved, and has attracted numerous tributes. With this release, however, more may be afoot because the band are suspiciously mute on the topic of style. The Impious Crusade will be released on Hell’s Headbanger’s Records, who promise more information today on this developing story. Deathchain, a Finnish band that shares members with Demilich, Winterwolf and Jess and The Ancient Ones, recently released a video for their song “Seven Asakku Shadows” taken from their latest album, Ritual Death Metal. The video is a slow motion celebration of flowing metal haircuts, complete with a guy pouring milk on his head and Antti Boman providing backing vocals in a robe and Cthulhu mask. Ritual Death Metal is out now on Svart Records. The University of Montreal in Quebec presented a conference on the cultural, aesthetic and historical hybridizations between video games on heavy metal. The presentations, occurring on March 15th, are available via video at the bottom of this post. Although the conference was presented in French, the video is fully captioned in English. Professors Dominic Arsenault and Louis-Martin Guay presented their research as the cornerstone of the conference, covering the origins of their interest in the topic and some of its history. That history moves us through the arcade era from pinball machines to stand-alone video games, then takes us through the home gaming revolution with 8-bit machines, and finally to 16-bit gaming and now modern game as technology evolved and became cheaper. 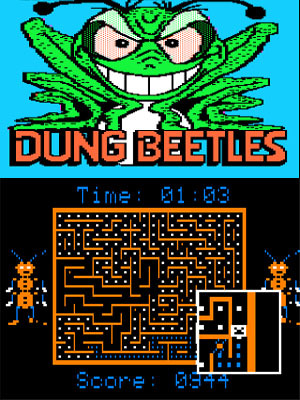 It compares the music, imagery and traditions of both metal and video game cultures. At the peak of this is Professor Arsenault’s attempt to meld metal and classic gaming, covering “experimentations in transfictionality, sound design and concept for 8-bit metal that’s not just metal covers, 8-bit covers, game-themed metal or chiptunes.” Arsenault, who believes metal and video games are a natural fit, has presented related research at other conferences to great success. Our two cents here is that metal and video games arose almost in parallel and both emphasized the solitary youth whose parents, fractured by divorce and social chaos, withdrew in an age of nuclear terror. As a result, both genres tend to focus on conceptual settings that emphasize both escapism, and a tackling in this new escapist context of ideas that threaten the solitary adventurer in real life. By placing those threatening ideas in an otherworldly context, they can be addressed as removed from their painful (and boring) day-to-day reality. On the 29th anniversary of Fates Warning’s classic debut album, Night on Bröcken, original guitarist and founding member Victor Arduini releases the debut of his new band, Freedoms Reign. Part of our job as people who support and believe in metal is to cheer its adoption in the world. However, as part of that mission, we want to make sure the task is done correctly. After all, McDonald’s “Black Metal Happy Meals” wouldn’t exactly be the direction we wanted to go in, would they? Nor would an article that argued heavy metal was a form of protest music or the continuation of disco (actually, that’s dubstep). 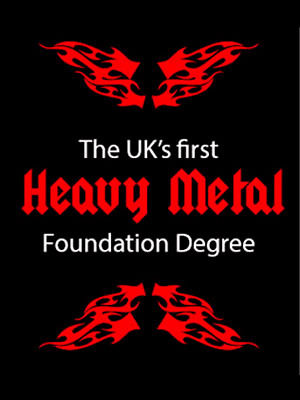 Thus we turn to Nottingham University’s new “heavy metal” undergraduate degree, which allows you to spend your college years learning music performance, composition, marketing and songwriting as you go through your degree program. On the surface, this is a great thing, in that it gives heavy metal some recognition in academia as a type of discipline. Or is it? It seems to us that the approach followed by other metal academics is more sensible, which integrates heavy metal into fields like English literature, sociology, history, philosophy and linguistics. Instead of making metal an isolated commercial product, and teaching it in the same facility that because it teaches a rock-based curriculum will most likely teach a metal-flavored version of rock, the metal academics prefer to pursue metal on the graduate level. 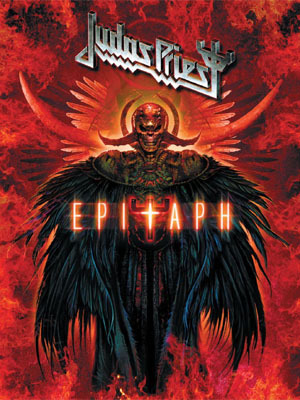 Legendary heavy metal band Judas Priest has announced that they will be releasing concert footage off their last tour. Entitled Epitaph, it features the band playing selections ranging the scope of their long career. The film will be screened at select theaters starting in May, culminating in worldwide release on May 28 on DVD. As one of the earliest heavy metal bands, many later genres were influenced by Judas Priest. The band was one of the first to use rapid palm-muted riffs and connecting structures that later inspired speed metal, death metal, and proto-black metal bands. After the first wave of Norwegian black metal entirely re-defined the genre into a melodic and intensely artistic form of music, it seemed metal had culminated. Its technique exploded in death metal, and with black metal, it began the process of creating narrative melodic compositions. Summoning jumped into this heap by evolving from a relatively straightforward downtempo black metal band into a melange of keyboards, lengthy fast-picked slow melodic passages, and soundtrack-style framing of song structures in the context of atmospheric, Tolkien-inspired vaguely medievalist metal. Ever since they nailed that combination on Dol Guldur, Summoning has been a legend in the metal scene. After the experiment in greater use of vocals and folk-like dynamics that was Stronghold, Summoning returned with Oath Bound, which edged them closer to the territory last explored on Dol Guldur before the music got more atmospheric on the Nightshade Forests EP. Seven years later, anticipation ran high for their latest, named Old Mornings Dawn. Coming from the same creative wellspring as other Summoning works, Old Mornings Dawn channels three separate influences: the classic downtempo black metal of its origins, the “Renaissance Faire” style of folk/world music that it became, and an influence that can only be described as dark 1980s industrial goth pop. This album fits in with Joy Division, Soft Cell, Sisters of Mercy and other darker forms of synthpop and EBM, much in the same way that Nightshade Forests picked up similar influences. At the same time, hints of the Stronghold style where vocals lead composition help define these songs. What is most pronounced on this album however is that Summoning are using the layered style that worked so well on not only Nightshade Forests but the Lost Tales EP as well, but have removed even more of the metal “forward” style narrative composition. Instead, these are circular compositions with layers, but in the best metal style, moods accrue and eventually force change into an entirely different but complementary riff. The result is a ferment of slightly differentiated influences fit into the only song structures that could incorporate them all. The result is like an exotic tour alongside a riverbank populated by fantastic figures from dreams. 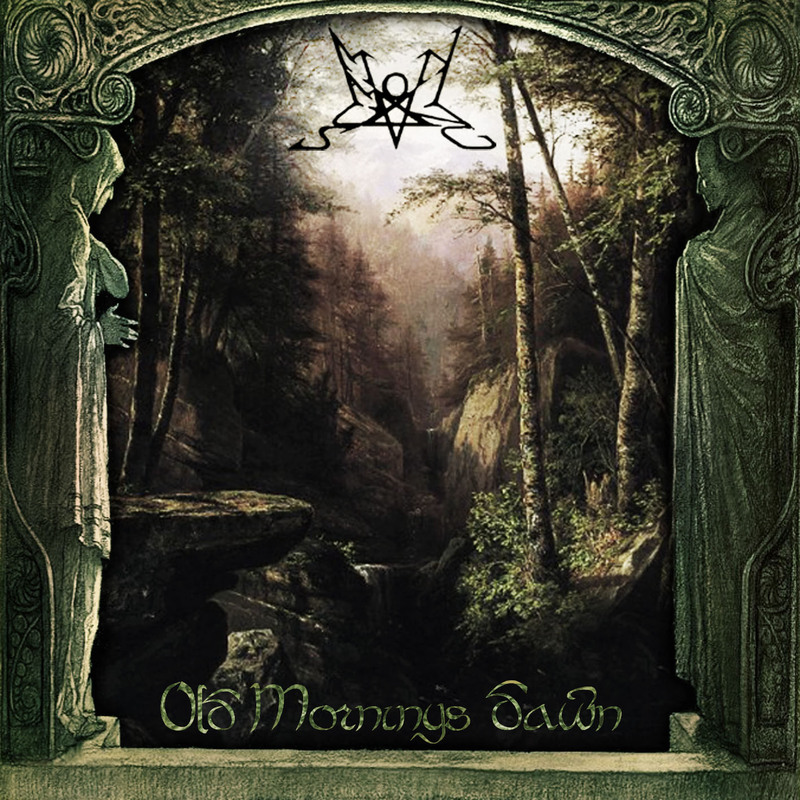 Old Mornings Dawn is a creative journey into the recesses of the mind and embraces the sentimental alongside the epic, using its ambient structuring to immerse the listener in a world far beyond anything they have experienced. The result drifts farther from black metal without betraying black metal, and instead creates a voice unique to Summoning which sensibly does not try to be Dol Guldur II, but to create a niche for itself. Its decreased distance from the listener allows emotion to meld with music and create an atmosphere unique to this band and the spread of time they have chosen with their music. Retronomicon compiles the demos and EP of After Death, the band Mike Browning formed as a replacement for Nocturnus as Nocturnus A.D., and then renamed to avoid confusion with the other version of Nocturnus that resurrected itself briefly in the 2000s.